Daryl Johnson (Worcester Park, United Kingdom) on 1 May 2010 in Architecture. 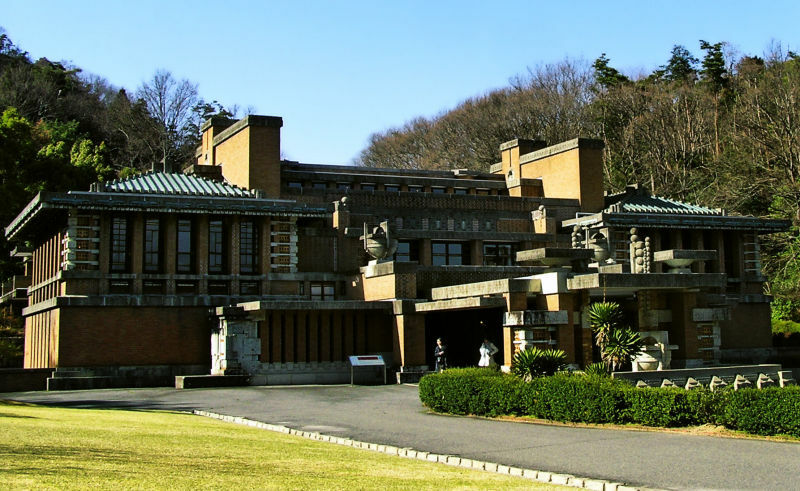 The most famous building in the Meiji Mura open-air museum is this surviving piece of American architect Frank Lloyd Wright's Imperial Hotel, built in Tokyo in 1923. The hotel was demolished in the 1960s, but the entrance lobby was relocated to the park. It's an amazing structure, and I'm so pleased to have been able to visit one of Lloyd Wright's most famous creations. In answer to your Response on my earlier Comment, yes, I spent some time going thru the website and searching around . . this, too, is a wonderful piece of history. Thanks for the sharing here. That is a very cool building and shot. I've been to Taliesin West near Phoenix, AZ. It's cool, too. This still has some Japanese elements but is a wonderful building of the architect. I envy your visit. Great photo of a fascinating subject. Well,well....THIS is SOMETHING to see!!! Of course I know about his genius and his works, both in America and here and the influence Japanese architecture and culture had on his art. He was one of the greatest collectors and dealers in ukiyo-e (for instance)......but I did not know much about the man, just what his biography presents. So, by utter chance, I came across a book by T.Coraghessan BOYLE - THE WOMEN - based on Wright's private life, Wright the man. I recommend it warmly! It's a mind opener! He made 5 trips to Japan, between 1917 and 1922, all of them closely linked with the building of the Imperial Hotel in Tokyo. When the Kanto earthquake struck in 1923, the Hotel stood among the rabble, but it cannot be said that it was not damaged....which finally led to its demolishion in the sixties.